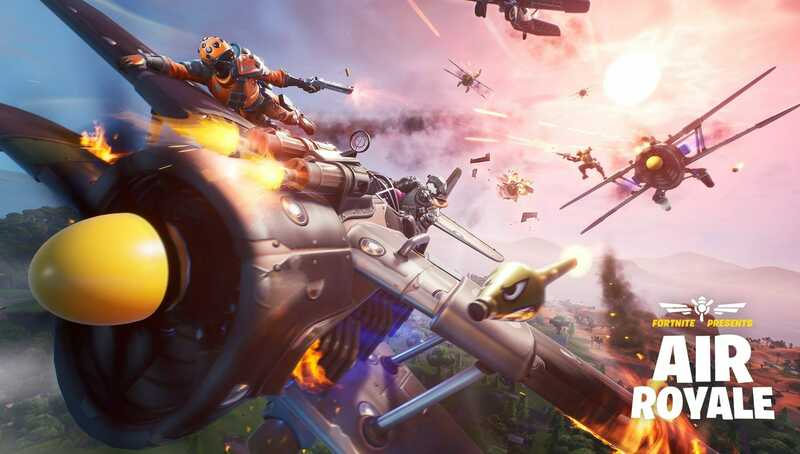 Epic Games just recently released Fortnite v8.40 Patch notes. The Patch is live now and can be downloaded across all platforms. Just moments ago, Dataminers revealed Fortnite Air Royale Challenges and Rewards. 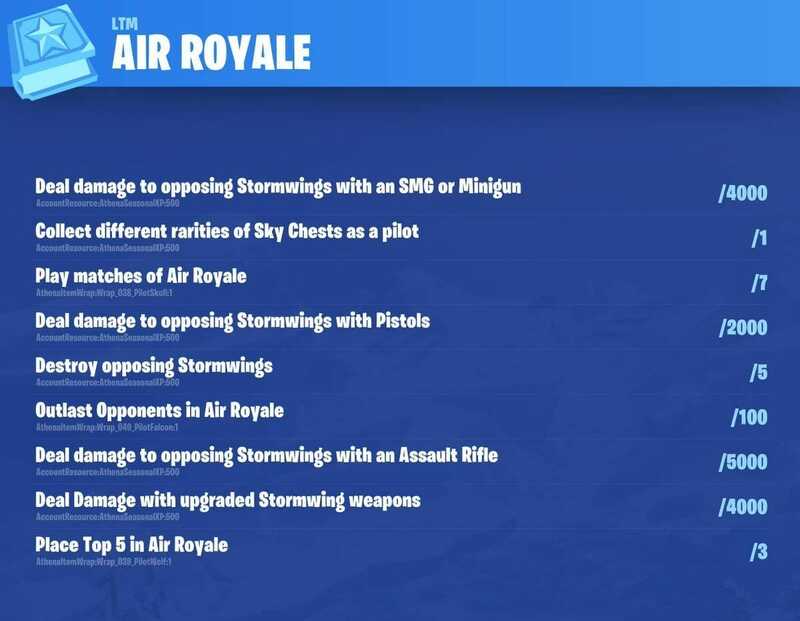 Air Royale is a new limited time mode in the latest patch in which the last plane flying wins the game. Now thanks to the same dataminers we have obtained Challenges and rewards for the new mode. They are as follows. In this limited time mode, players will pilot the X-4 Stormwing and fight to become the last plane flying on the map. This LTM comes with free challenges that will unlock brand new raps. The servers are currently down as the new update is implemented into the system. However, the following challenges and rewards can be seen ahead of time thanks to FireMonkey who successfully datamined them. The rewards for the Air Royale challenges are the Callsign Skull Wrap, Callsign Falcon Wrap, Callsign Wolf Wrap, and Season XP.